Fox Marble Holdings Plc (LON: FOX) has today announced the start of commercial extraction of Alexandrian Blue from its Prilep quarry in Northern Macedonia. Alexandrian Blue has dense blue grey banding with smaller bands of white which produce a marked blue tone and is akin to the highly desirable Zebrino marble from Northern Italy. The quarry, which is already producing the highly sought after white marble marketed as Alexandrian White, is now also producing substantial quantities of Alexandrian Blue from a newly developed section on the East side of the quarry. · Commercial extraction commenced of Alexandrian Blue marble from Prilep Quarry. · 441 tonne order of Alexandrian Blue completed and paid in December 2018. · Sales agreement entered into with an indicative value in excess of €1 million. Fox Marble sold, and received payment for, 441 tonnes of Alexandrian Blue extracted in December 2018 to a single customer. This material compliments the Alexandrian White from the same quarry, as well as the highly popular Illirico Selene from the Maleshevë quarry in Kosovo. Following this order, the Company entered into a sales agreement with this customer to purchase Alexandrian Blue with an expected value in excess of €1 million over the next twelve months. Under this sale and purchase deed the Company agrees to supply a minimum monthly quantity of Alexandrian Blue blocks for a 12 month period, commencing 16 January 2019. The indicative value of the agreement is dependent upon the company making available sufficient material to the client to meet the minimum monthly commitment. 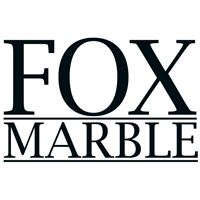 Fox Marble is now focussing on penetrating the markets in Italy, India, China, Turkey and Dubai where it has established a base with its most popular marbles, the Alexandrian White and Illirico Selene, with material from the Cervenilla quarry including Argento Grey, Rosso Cait and Flora, and Syriganë quarry which contains Breccia Paradisea and Etrusco Dorato.